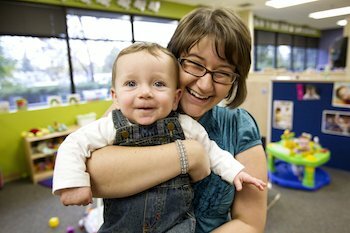 Especially for Children’s Infant Program offers a safe, nurturing environment where children learn about themselves and their feelings. They develop relationships with caring teaching staff and with other children. Our goal is to make your baby to feel safe and loved. 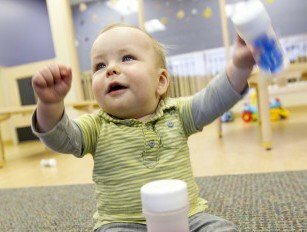 This bond creates confidence in your child so that he or she will be ready and excited to learn new skills while in our care. Moreover, we build a relationship with you and your family, prioritizing open communication so that we are working in partnership to promote the growth and development of your child. We use the Baby Connect mobile application to stay in touch with you throughout the day, and we hold parent/teacher conferences two times a year to discuss your child’s progress toward age-appropriate developmental goals. Learn more about our Infant Program in the tabs below. Learn more about the Learning Curriculum that will foster her development here. We are excited to use Baby Connect at our centers. Baby Connect is website and mobile application that allows parents and caregivers to log and share information about a child’s day in a digital format. Infant and toddler teachers use a tablet to record daily activities and take photos – parents can connect in real-time through the app, the website or via email. 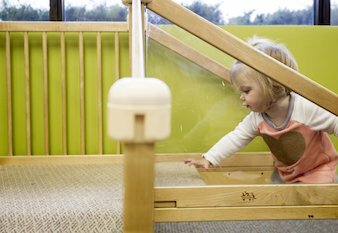 Baby Connect is available in the infant and toddler rooms of all of our centers.